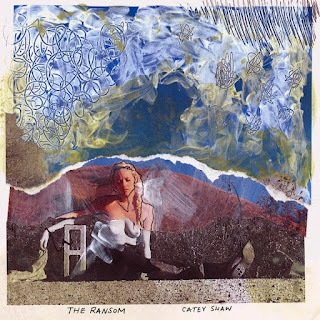 Pop artist Catey Shaw has premiered her forthcoming EP "The Ransom." Stream the EP in full exclusively on PopDust now, here: bit.ly/1XF2bJa. Set to drop this June 10, fans can pre-order "The Ransom" EP here: apple.co/1VsFu97. This release follows Shaw's 2014 project" The Brooklyn" EP, which garnered praise from Billboard, Nylon, TIME, Complex and more. "I am finally free from whatever was holding me back and this music kind of celebrates that," Shaw said. Each song on the project touches on aspects of Shaw's personal journey, "The songs [on The Ransom EP] share a common thread of subject matter, and of meaning to me personally," she said, "So to put them out as one package is so important and exciting to me." Drawing on the ups and downs of life and love, Shaw brings honesty and emotion to every track on "The Ransom" EP. In advance of its June 10 release, 'The Ransom' EP has already built a buzz in the blogosphere. PopCrush called her end-of-summer single, "Walks All Over You" "upbeat, audacious, and a complete earworm." Shaw has dropped visuals for the first four singles from the project, "Walks All Over You," (85k views) "Tell Everyone" (21k views), the title track, "The Ransom" (57k views) and her latest single "Lovesick Jerk." Fans can also stream "Tell Everyone" on OUT Magazine and "Walks All Over You" on PopCrush. "Catey Shaw does a lot of things right," Out Magazine said. "Her songwriting is poppy but incisive, her voice is downright mellifluous." Shaw's forthcoming EP follows her 2014 release, "The Brooklyn" EP, praised by The Huffington Post who said, "Shaw's release proves she's not a hipster gimmick, but an artist to be taken seriously. "Perez Hilton commented that with her previous release "she officially cements herself as the Lily Allen for a younger generation." "The Ransom" EP is the third release from Catey Shaw following 2013's Clouds and 2014's "The Brooklyn" EP. For more information, please visit: facebook.com/cateyshawmusic.